Time-honored Italian classics are the go-to at Giordano’s. It’s very fitting that Giordano’s, an italian food establishment at the foot of Circuit Avenue in Oak Bluffs, refers to itself as a family dining restaurant. It really is all about family. 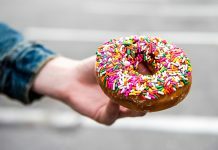 The business was established in 1930 by Edward and Maria Giordano, and for the last 88 years has been lovingly managed and operated by the same family — quite a feat in this day and age of mega-mergers and restaurant chains. 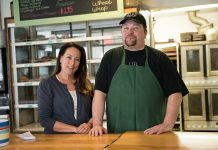 The family’s unwavering support and love of the place is immediately apparent the minute you walk in the door. Even the paper placemats contribute to the feeling by letting diners in on the restaurant’s colorful past. 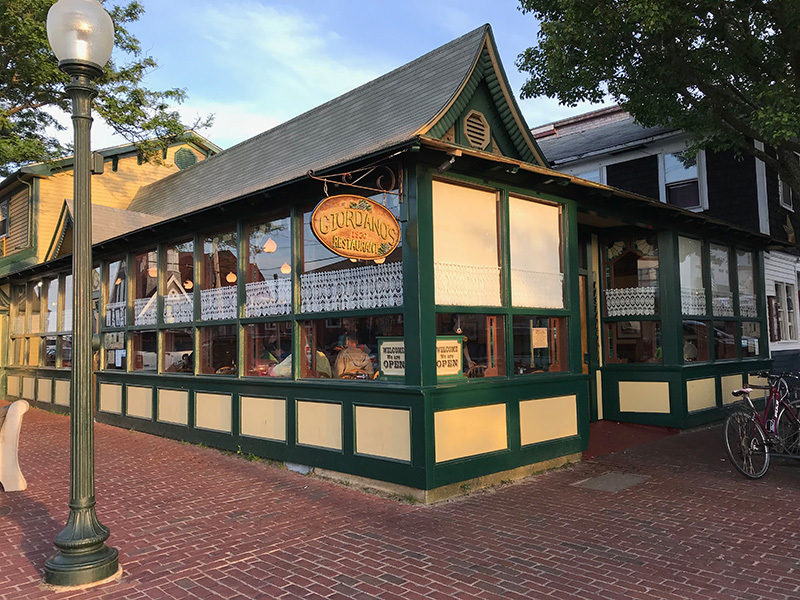 The placemats tell us some of the history: “After Ed and Maria had established the business [at the current location of Park Corner Bistro, I was told, across from the Oak Bluffs Post Office], their son Wilfred took over and moved it to its present location in 1943. In 1970, he renovated the Clam Bar and main dining room while adding the Pizza Room. Wilfred married Antoinette, whose sons Wilfred Jr. ‘Buster’ and Richard ‘Richie’ grew up working in the restaurant, and in 1980 the business was passed on to them. I had the pleasure of meeting Leanne, who was the manager on duty the night my dining companion and I showed up for dinner, and Buster, who regaled us with descriptions and anecdotes about the many historical artifacts and photos on the walls. 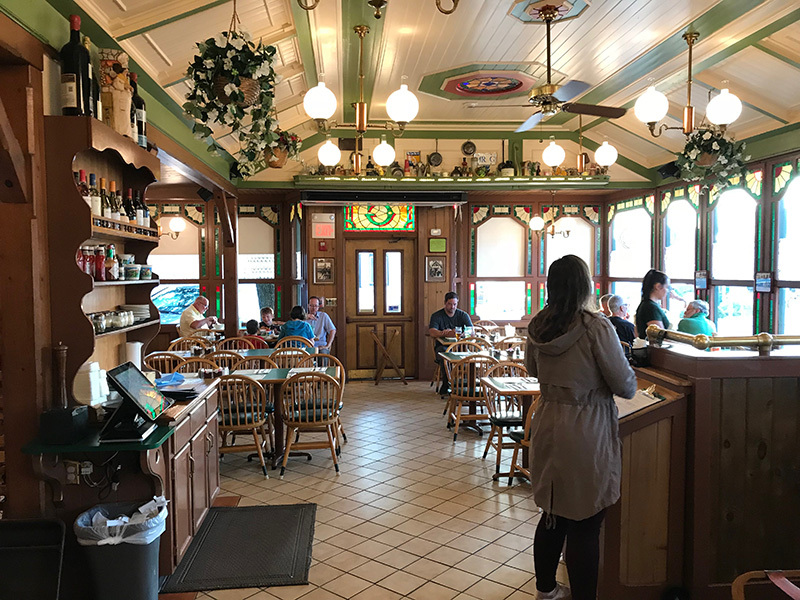 Although the Pizza Room off the side of the main dining room is a hotbed of sauce and dough, delighting aficionados from morning to night, and the Clam Bar right next to it never really stops, I made sure to choose the dining room restaurant to have our meal. I have very fond memories of the place from the first summer I spent here on the Island, way back in 1978. Back then the decor was a bit less fussy and there was no air conditioning, but there were screened windows all around that let the sounds and smells of summer waft in. The activity never seemed to stop from the minute the doors opened for dinner. 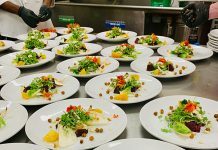 There was this culture that organically grew from the ever-present “reservation line” that would begin snaking from the front door just a few moments after the dining room opened. “Oh, you want a seat in there? With everyone else? Well, you’re gonna have to wait!” And wait we did, with gastronomic anticipation all the while, chatting with folks in the same boat looking for a great Italian meal at a very affordable price. As we all know, change is a part of life, but what hasn’t changed at Giordano’s (lovingly referred to by most Islanders and wash-ashores as Gio’s) is the quality of the food and the variety of the tried-and-true Italian dishes we all love. Leanne mentioned the veal and chicken Parmesan as perennial favorites, along with newer choices like the Alfredos. 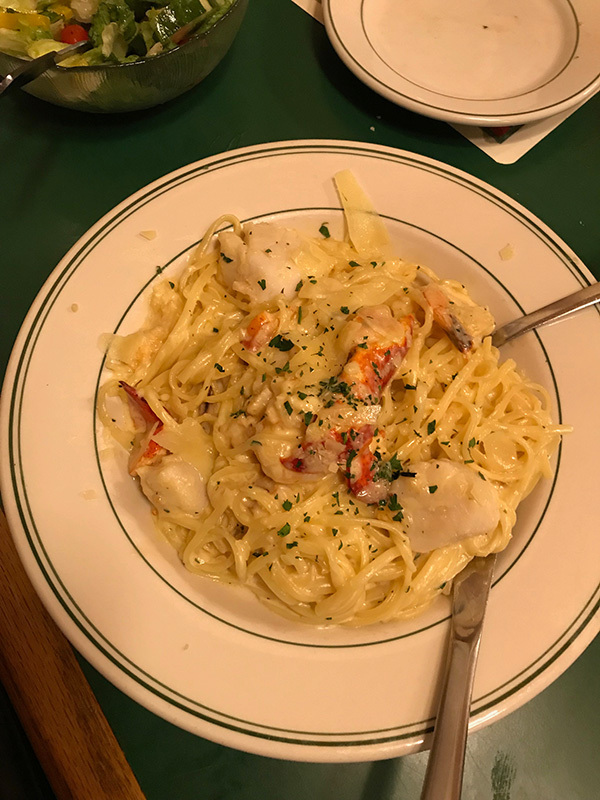 On her recommendation, I tried the Seafood Alfredo ($23.99), and it was fabulously cheesy and gooey with bountiful scallops, lobster, and shrimp — bellissimo! 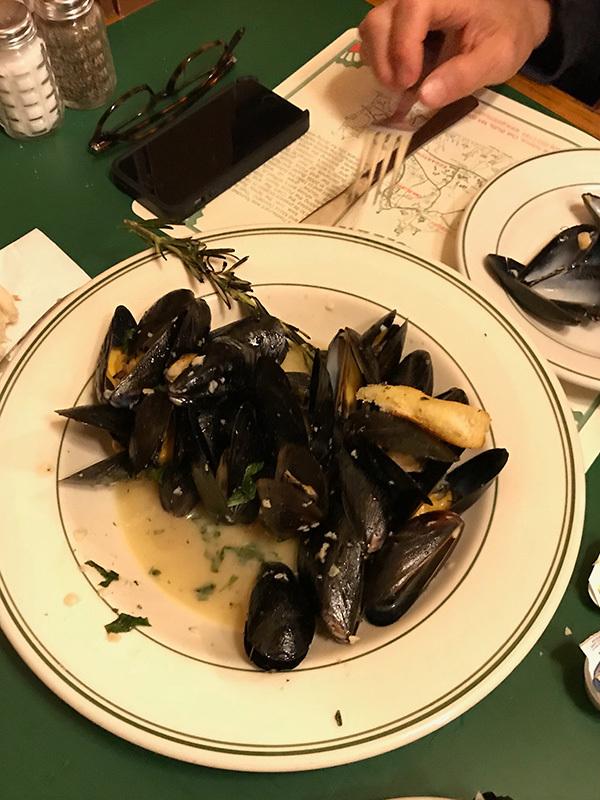 We also tried the Steamed Mussels ($12.49) in white wine, butter, and garlic, with a great spice twist I had never heard of before: fresh rosemary — delish! 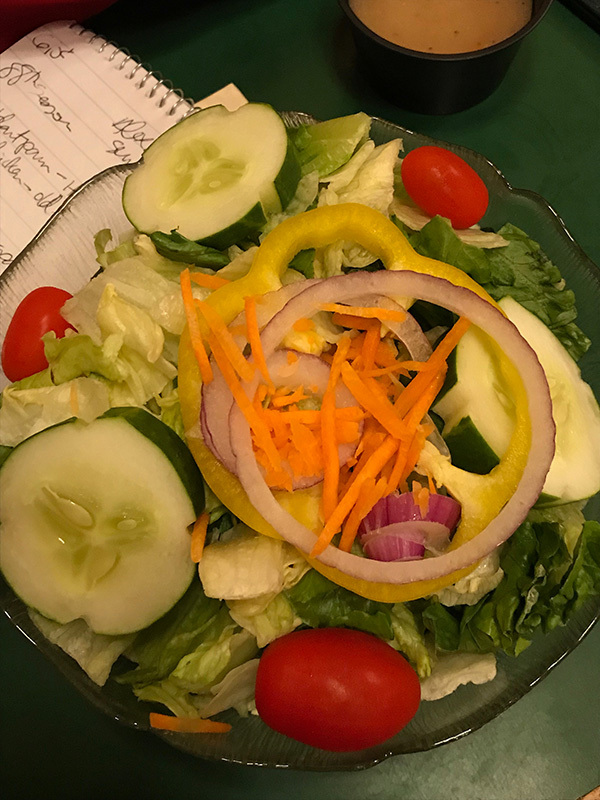 And of course, I had to utilize the secret restaurant review covert special ops — ordering a simple garden salad — and Gio’s passed in flying green colors. To me, nothing says more about an eating establishment than the freshness of its ingredients and the generous portions they serve. As you can see, Gio’s does not disappoint. If you’re here for a temporary visit, then this is the place for a fantastic authentic Italian meal, and if you’re a crusty old Islander, it’s high time you rediscovered this culinary gem. Giordano’s Restaurant, 18 Lake Ave., Oak Bluffs. 508-693-0184 (for pizza orders only); Monday through Sunday, 11:30 am to 10:30 pm.